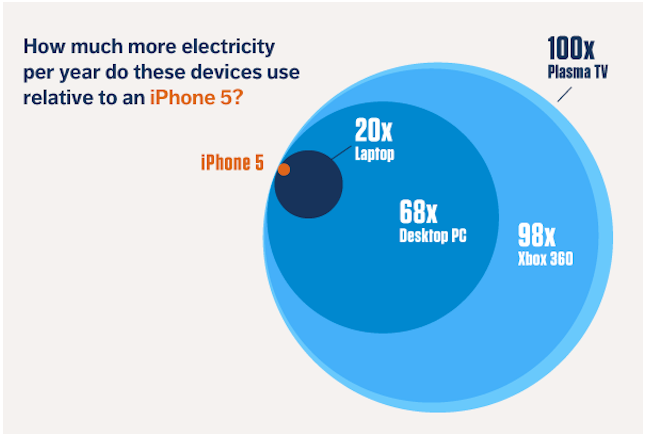 With the recent launch of the iPhone 5, it is worth considering how the rocketing sales will affect energy consumption, as the figures are huge. Within a week, Apple had sold five million mobile phones and within a year 170 million units will be sold. This year, it’s predicted that a whopping 567 million units of smartphones will be shipped we’re set to reach the 1 billion mark by 2016. So what does this mean for energy use? Powering the 170 million iPhones purchased this year will require the same amount of annual energy needed to power 54,000 homes in the USA. That’s about the size of Oxford, UK. To power all the smartphones currently in global circulation requires the equivalent energy of supplied to 162,000 households, which is slightly bigger than Birmingham, UK. However not all is doom and gloom. There are some interesting trends arising where the smartphone is substituting the use of more energy-intensive gadgets like plasma TVs and computers. For a more detailed break down check out this article. The article concludes with the idea that with the rising tide of smartphones, we might be at the cusp of an energy efficient revolution. This is a valid point, but the article omits an important factor: our behaviour. I previously mentioned that the annual emissions of CO2 from the ICT industry is equal to that of the aviation industry. Yearly emissions of the ICT sector consume an estimated total of 700 TWh representing 15% of global residential electricity use. The rise in electricity consumption is due to energy intensive behaviour of consumers and the increase in per capita ownership of electronic and digital appliances that consume more energy. • replacing appliances at short intervals to acquire the latest technology. These increases in energy demand surpass previous forecasts and provide new challenges and opportunities for energy security to policy makers. The International Energy Association has recommended that governments begin implementing policies to curb the effect of the growing energy demands from the ICT and consumer electronics sectors, which traditionally have received little attention from policy makers. The use of standby mode of products currently accounts for 200-400TWh each year (remember that total energy consumption from use alone is 700TWh!). 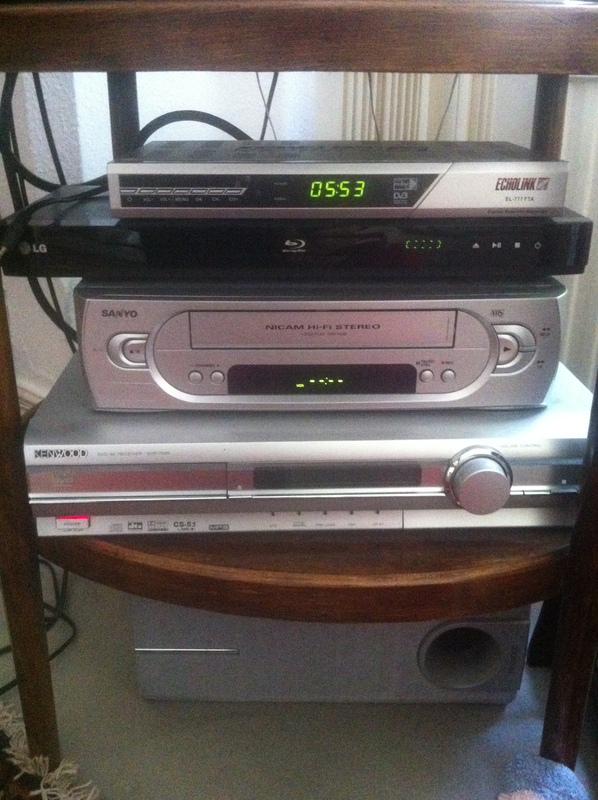 Typically, a television set, DVD or CD player wastes 50% of the energy it consumes whilst in standby mode. Cheeky stand-by lights – lots of them! The Energy Savings Trust estimated that if the entire UK population neglected using the standby mode, the total energy saved would be enough to power 2.7 million homes for a year. 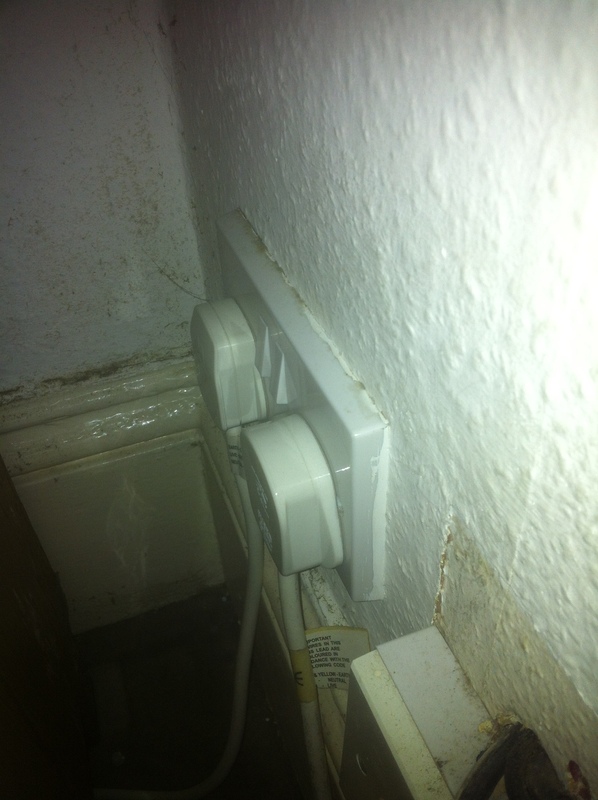 The Energy Savings Trust also blamed the consumer for this bad behaviour. I tend to disagree and think this is a rather simple way of explaining the standy-by phenomenon. Research has indicated that marketing, the operational functions of electronics and poor instructions mislead consumers who feel they are compelled to leave electronics on stand-by mode. So, whilst evolving technology is providing us with wins in terms of energy efficiency, our behaviour needs to evolve too so we don’t experience a rebound effect: where energy efficiency gains are cancelled out by our increase in the use of electronics “Oh, solar-powered? It’s totally kosher to leave it on stand-by mode!”. Nope. When not in use, just turn those bad boys off.